1. Make sure you add your business id/email to the settings of Funnelish and the funnel you are working on as well. 2. Make sure you use the EXACT URLs and not the ones sitting at the top of the ClickFunnels page. 3. Make sure you are adding the Cart ID when you are adding products in the “settings” tab. Thanks for watching the video! If you enjoyed it PLEASE take a moment to subscribe, like the video, and share if it helped you! If you have any other questions on this video or anything you would like to see in the future then just comment below! 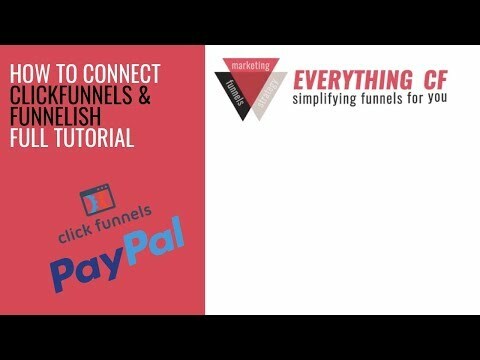 If you are looking for more information on funnels, strategies, etc. then check out some of the links below!